BECOME A WYNDHAM REWARDS MEMBER TO RECEIVE YOUR DISCOUNT. It’s quick and it’s free! *Earn a free stay at any Wyndham hotel worldwide after as few as 8 nights! Did you know that the Wyndham Rewards program is the fastest program in the hotel industry for quickly using your points? Only 6,000 points are needed in order to get a free night at some hotels, coupons, gift cards and other immediate benefits. Your Wyndham Rewards membership number is required to receive your special discounted rate or promotion. If you do not have your Wyndham Rewards membership number at the point of check in, the front desk associate will automatically enroll you. For your next stay at the Howard Johnson Anaheim Hotel and Water Playground, make sure to get your points. No fee, no muss, no fuss. START SAVING YOUR FAMILY MONEY ON YOUR NEXT VISIT TO DISNEYLAND. Book your room with the promo code below, but keep reading to learn about all the ways you can save at the HoJo! Just type this code into the “promotion code” box in the reservation form above to check room availability. Your discount will be automatically applied to your reservation! This rate is fully changeable and can be cancelled. 8 Minute Walk to DisneyLand® Park! It’s fun to be in the front row! Your room at the Howard Johnson Anaheim Hotel is just a short walk from Disneyland® Resort for a mid-day refreshing splash at our pool or a much needed nap in your comfy bed. Free WiFi access in all guest rooms and public areas. exclusive deals for free food, 2-for-1 offers and much more. shuttles or lost time at the parks. Come back for a nap or a swim. 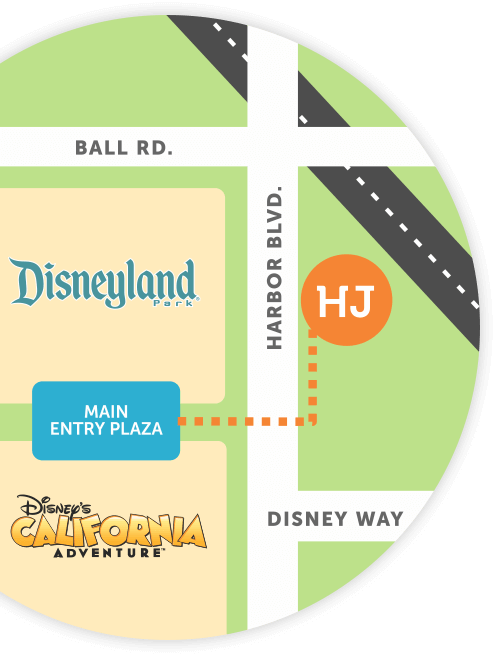 Howard Johnson Anaheim Hotel offers a 20% discount toDisneyland® Resort Annual Passholders every day! Be a part of the Disney magic by staying in one of Anaheim’s original hotels, offering FREE parking and just an 8-minute walk to the entrances of both Disney them parks.